Ever since that first day you held your high school diploma in your hands, you’ve probably wanted to keep the poster cluttered bedroom walls of your childhood bedroom as a distant memory. But now that you been away earning your undergrad for the past four years, the time has come to figure out where you plant your flag while you are attending grad school. You may laugh at the thought of it, but here are some reasons why you should seriously consider choosing a grad school close to home. You read that right. Now use it as your personal mantra. Even though your “dorm-life” years earning your undergrad gave you a new sense of freedom to make a mess of your living quarters, that kind of sloppy aesthetic will only bog you down when you are trying to earn your graduate degree. By living under the iron fist of your parents — paternal and maternal landlords — you will be forced to keep your living space up to their standards. One thing that living with your parents will seriously hammer into your skull is that you will be as motivated as ever to save up and move away from home after you have finished your graduate degree. 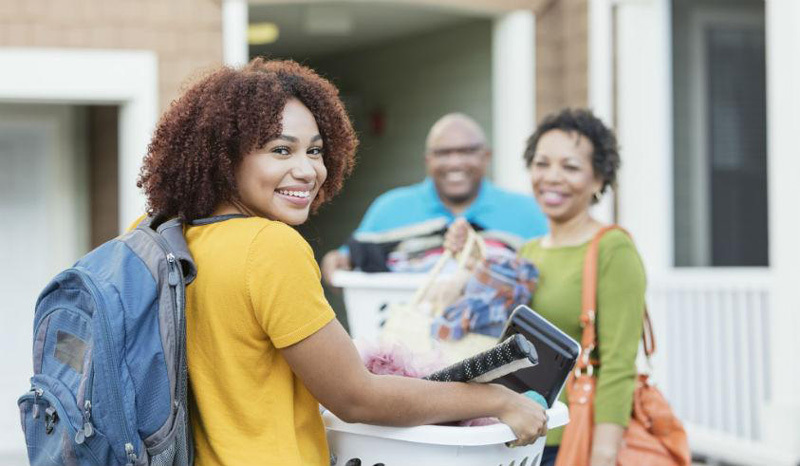 But unlike living in a dorm, you will be able to balance your work and school life without having the stresses of coming up with rent and paying other household bills. Use this time to save up so that you can move on your own terms with a degree that will help you join the workforce at an advantage. As you approach your mid-to-late twenties you should start treating your body like the temple it is. Maybe it’s time to retire your days of the all you can eat frenzy that you used to subject yourself to while earning your bachelor’s degree. Living at home will bring your eating habits back down to Earth — to a degree — and help you to set your eating habits for when you begin your life away from home. We can make all of these cases to you for why choosing a grad school close to home can help you save money, eat better and get your mind right. But, possibly the most monumental benefit of choosing a school close to home is the money you will save by paying in-state tuition. According to U.S. News, the average price for in-state graduate school tuition for a public university is close to $30,000 — including living costs — as opposed to out-of-state which is nearly a third of the cost more. If you cut down on housing costs by living at home, you will be thankful not to carry around that debt like a boulder on your back for the next ten-to-twenty years.